While receiving disability payments, LaMarche owned and operated Emerald City Charters, a sailing outfit whose promotional video showed him sailing the boats. 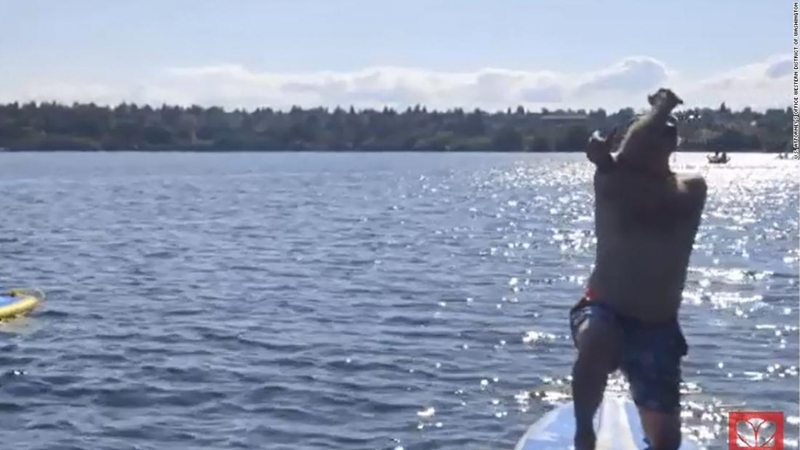 Investigators from the Railroad Retirement Board Office and the US Coast guard also dug up a Seattle tourism video that showed LaMarche and others doing yoga on paddleboards. Both videos were used to incriminate LaMarche, according to the US District Court for the Western District of Washington. The 67-year-old’s scheme began in 1988, when LaMarche claimed he could no longer work as a railway conductor due to a back injury. Five years later, he began receiving a disability annuity from the Railroad Retirement Board. Despite the Railroad Board investigating the disability claim in 2015, LaMarche continued to submit false reports, saying he could not “lift, pull or carry heavy items,” was “unable to run or jump” and had “debilitating headaches daily,” the Justice Department said. US District Judge James Robart called LaMarche a “thief” at his sentencing. “He’s obviously made a lot of money, but he’s stealing every year,” Robart said. The investigation ordered LaMarche to pay $177,369 in restitution as well as an additional $177,369 in penalties, according to the US Attorney’s Office in the Western District of Washington. Although Emerald City Charters’ website claims “the fun isn’t stopping anytime soon,” their head captain won’t be able to man the decks until 2019. After the nine months in prison, LaMarche will be under supervised release for two years. His captains license is currently under review by the US Coast Guard, a Coast Guard spokesman told CNN. LaMarche was ordered to report to prison on Tuesday.